Pinnacle Logistics, and formerly known as IASLogistics, was established in 2008 as a affiliate company of Integrated Airline Service (IASAir), as a asset based motor carrier with a 48 state operating authority, that’s fully qualified, insured and US Customs bonded. Pinnacle Logistics has a unique advantage with its strong Aviation Heritage, which has enabled us to have direct airport access to international and domestic air freight. This allows us to perform specialized services that our competition is unable to provide, such as Direct Aircraft to Final Delivery and Handling of High Value- High Risk shipments that need to remain in the secure warehouse environment until final delivery, as well as reduce multiple handling of cargo. Pinnacle Logistics offers; GPS Tracking of Tractors and Trailers, Escorts, Team Drivers and has a relationship with Freight Watch. 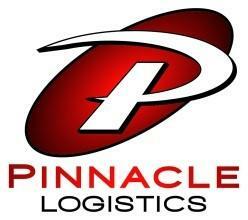 Pinnacle Logistics is “Simplifying the Supply Chain” for the Freight Forwarders and Airlines! The Major expansion that Pinnacle Logistics made in 2016 into Ground Handling Aviation Services (both Air Cargo Handling and Aircraft ramp handling) has increased our business six fold in the space of 1 year and brought our total employment to over 2000 nationwide in 2017 and we project doubling that in 2018 !